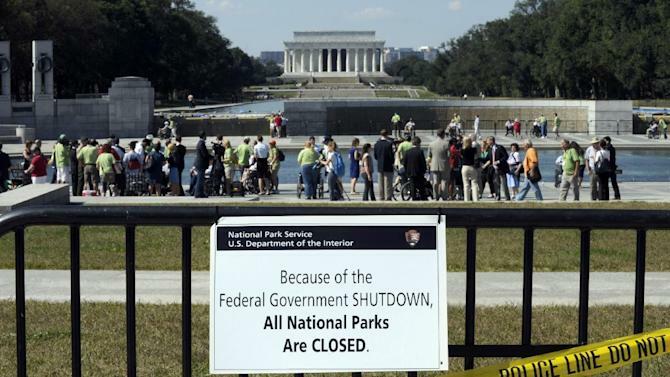 WASHINGTON (AP) — No government shutdown this year, Republican congressional leaders say. But with Congress, it’s never easy. A band of conservatives say they won’t back legislation financing government agencies unless the bill blocks federal payments to Planned Parenthood. A partial shutdown will occur Oct. 1 unless lawmakers provide money to keep government functioning. With time running out, GOP leaders haven’t said how they will handle conservatives’ demands while also rounding up enough votes to prevent a shutdown. Conservative and Republican revulsion for Planned Parenthood and abortion has been reignited this summer by secretly recorded videos showing organization officials offhandedly discussing how they sometimes provide tissue from aborted fetuses for medical researchers. Keeping conservatives happy and prompting large numbers of them to vote in next year’s presidential and congressional elections is good for the GOP. Conservatives are among the party’s most loyal and numerous voters. Advancing a bill that finances government agencies but blocks Planned Parenthood’s money is one way to do that. Such a bill probably would pass the GOP-run House. But Senate Majority Leader Mitch McConnell, R-Ky., acknowledges that he lacks the votes to prevail in his chamber and says President Barack Obama would veto it anyway. That makes GOP leaders reluctant to force a doomed standoff with Obama that could result in a shutdown and alienate pivotal independent voters. The public mostly blamed Republicans in 2013 when a partial shutdown lasted 16 days after they tried dismantling Obama’s health care law in exchange for keeping agencies open. Planned Parenthood group gets over $500 million in federal and state funds annually, virtually none of which can be used for abortions, and says it’s done nothing wrong. Sen. Ted Cruz, R-Texas, a presidential contender, is circulating a comparable letter. Many of the other GOP presidential contenders are also urging Congress to slash Planned Parenthood’s funds. Boehner needed, and got, Democratic backing to end the 2013 shutdown and a brief closure this year of the Homeland Security Department in an immigration fight with Obama. But no leader likes to battle his own party’s members and rely on the other’s to pass crucial legislation. Besides, the deep partisan schism over Obama’s nuclear weapons deal with Iran — which garnered zero Republican votes — spotlights bitter divisions that could hinder Boehner from winning Democratic support. Boehner has clashed often with some of the House’s most rebellious conservatives. This summer, Rep. Mark Meadows, R-N.C., introduced a symbolic motion to remove Boehner from the speakership. It went nowhere but conservatives might force a binding vote on deposing Boehner and think that threat could pressure him to avoid working with Democrats. “The last thing we need is more weak leadership from John Boehner” with a possible vote to oust him “always stalking out there,” said conservative Rep. Tim Huelskamp, R-Kan.
It’s unclear. GOP leaders will likely seek to temporarily finance government, perhaps setting up a Christmas showdown over 2016 spending and Planned Parenthood.